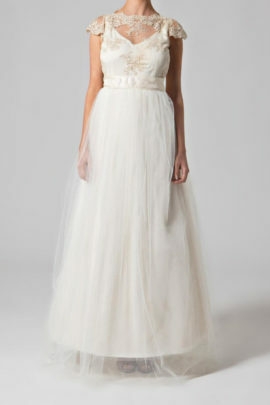 I researched Wedding Dress History and what it Uncovered Shocked me! As a bridal designer I get asked many questions about styles of dresses, fabrics and so on but the other day one of my future brides asked me a question that I realised I have never thought about. Where did the concept of the “white wedding” wedding dress come from? Totally at loss as to what to tell her, I decided as a long standing employee of the bridal industry I needed to do my homework and research the tradition of the wedding dress and wedding dress history in general! 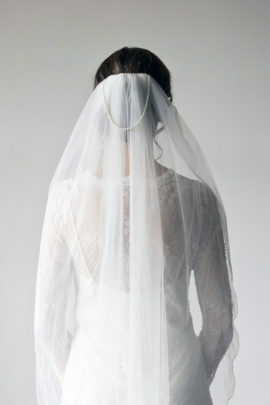 What I found out was not only interesting but went against all my perceived ideas and notions of the wedding dress. Firstly we all associate white as the colour of purity and consequently one would assume the reason why, so many of us choose the white gown or a colour from that palette such as ivory, ecru or blush. However, much to my astonishment this is not the case. Originally it was blue that was associated with purity and piety not white. 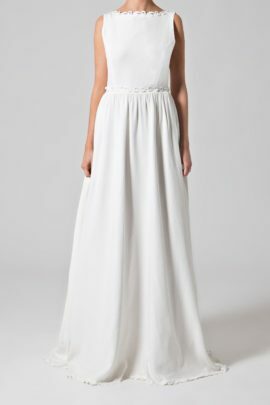 Why are most Wedding Dresses white? Philippa of England was the first documented princess to wear a white wedding gown in 1406. In 1559 Mary Queen of Scots also wore a white wedding dress not because of tradition rather because white was her favourite colour. Brides normally got married in any colour . Black was a favourite among the favourites of the Scandinavian brides! Today I find the majority of brides who come in looking for a coloured gown generally, in the end, choose the something from the modern day bridal colour palette, as the coloured gown does not, in today’s society, feel like a wedding dress rather an evening gown. In the same way it is highly unusual to see anyone in a white evening gown at any function. 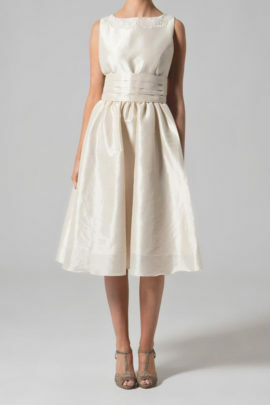 Since then white has been the chosen colour for the traditional wedding dress. Not only that but the contemporary wedding gown is very similar in style to the Victorian fashion with long skirts and fitted bodice.